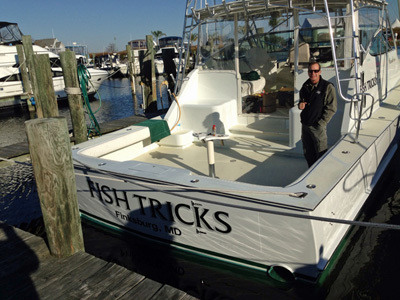 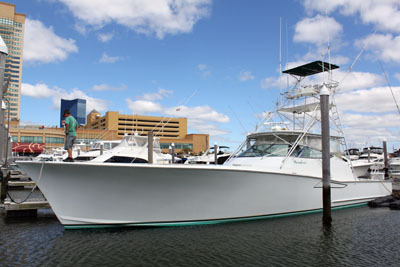 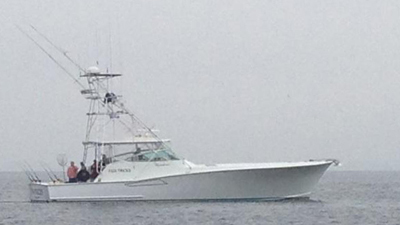 The "Fish Tricks" is a 57 x 17 ft. Gillman sportfishing machine, powered by twin 800 hp Caterpillar Diesels. 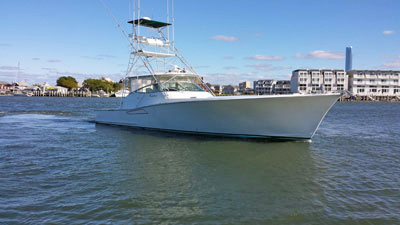 Capable of cruising at 30 knots, she has a huge cockpit with fighting chair, transom door, saltwater washdown and 50 gallon live well. 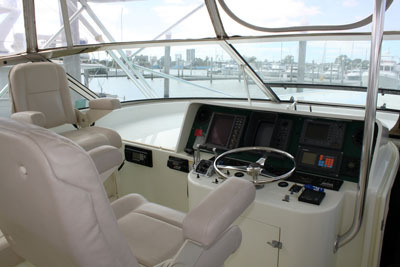 Two steps up from the cockpit you'll find the air conditioned express bridge with helm seating for three. 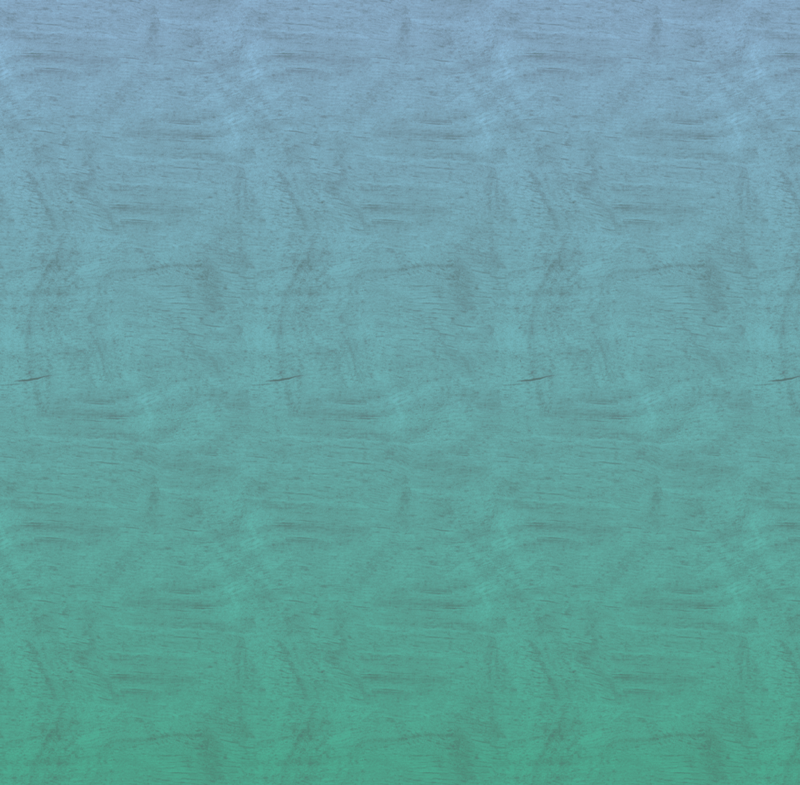 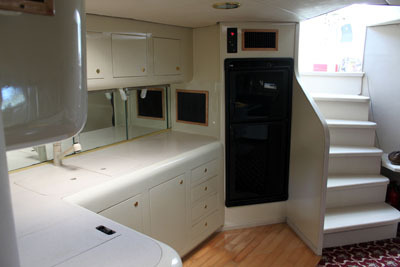 To port on the bridge there's a day sofa, and to starboard is deep bait freezer and sink-prep station. 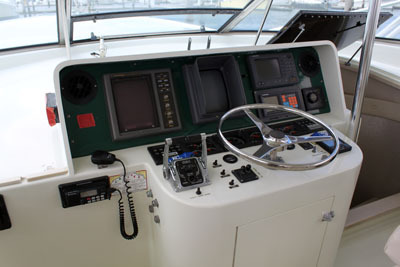 The helm also features a full complement of the newest in touch screen electronics (LORAN, depth finder, 72 mile RADAR, GPS / plotter), synchronizer, SSB radio, two VHFs, with an EPIRB on the hardtop, and Sirius XM Radio. 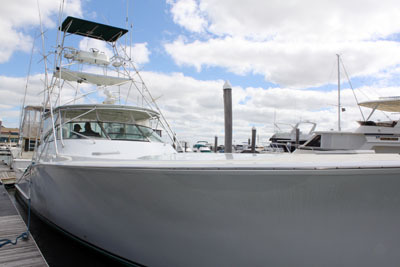 From the bridge, take the stairs down to a very large salon that to port features a forward-facing leather sofa and another l- shaped sofa. 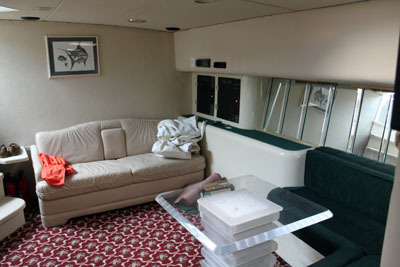 The salon also features a Trackvision-fed TV with DVR / VCR, and AM / FM / CD. 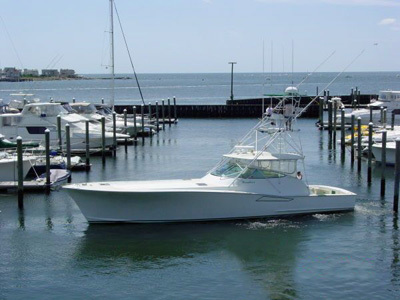 A full galley is located to starboard and includes a double sink, micro / convection oven with electric range, and a refridgerator / freezer with icemaker. 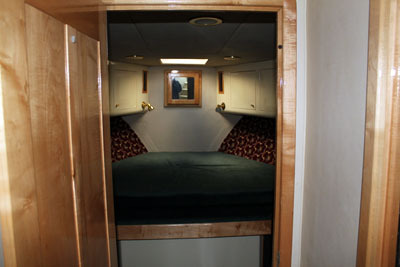 Moving forward via hallway, you'll pass crew bunks amidships to port. 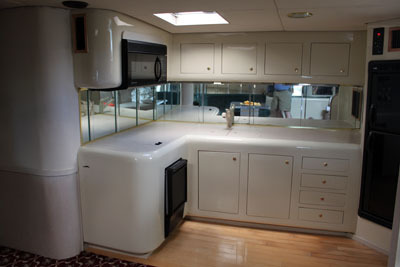 The head (bathroom) is amidships to starboard with fiberglass shower. 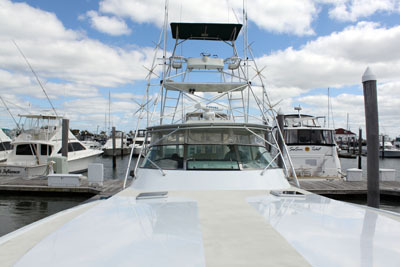 The air conditioned master stateroom is forward with a centerline King berth. 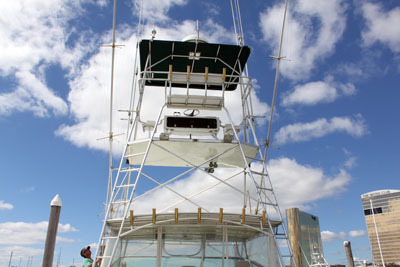 The tuna tower offers bench seating facing forward, two individual seats facing aft, Furuno electronics, and engine and anchor controls.